Ridley Scott isn't done with the Xenomorphs! Despite your opinion of the actual movie, the prevailing wisdom on PROMETHEUS was that Scott’s efforts to remain a mere producer and to downplay the relationship between the film and the ALIEN series were curbed by a dollar-sign-blinded 20th Century Fox. Of course, he ended up directing the film, and we had that weird, seemingly forced sequence of the xenomorph being born (fully-formed) from one of the Engineers. So that means one or two more sequels after the one coming up, which will finally culminate in a direct link with the series that Fox was so keen to capitalize on in the first place. Which brings us to the questions we already have: why did the Engineers create these life forms? What was threatening their existence, and what eventually forced the one Engineer we saw into hibernation? Why was the Engineer headed for Earth? None of these questions necessarily tie into ALIEN, but there is plenty of room for connective tissue between the two franchises. It all depends on how deeply Sir Scott thinks they should be bonded. What does seem to be the case is that Scott is fully intent on bridging the two series together in a deeper way than the first film indicated, and will possibly do so over the course of the same amount of direct sequels the original ALIEN was followed by. 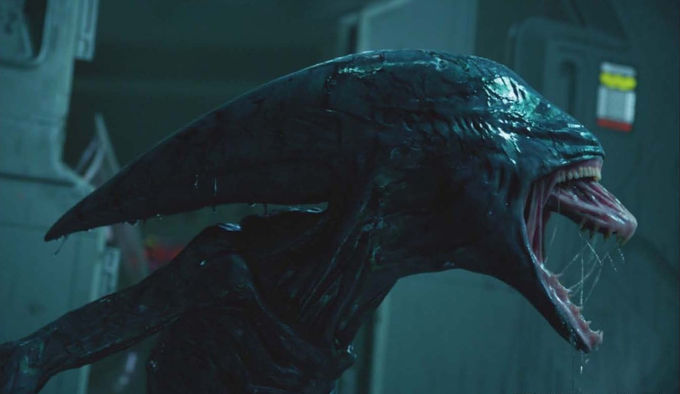 Will you sit through another two or three PROMETHEUS movies to see another xenomorph?